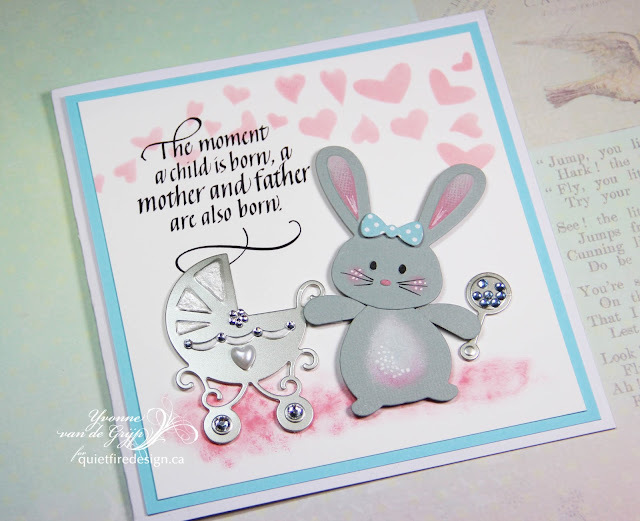 Yvonne here with a cute baby card. 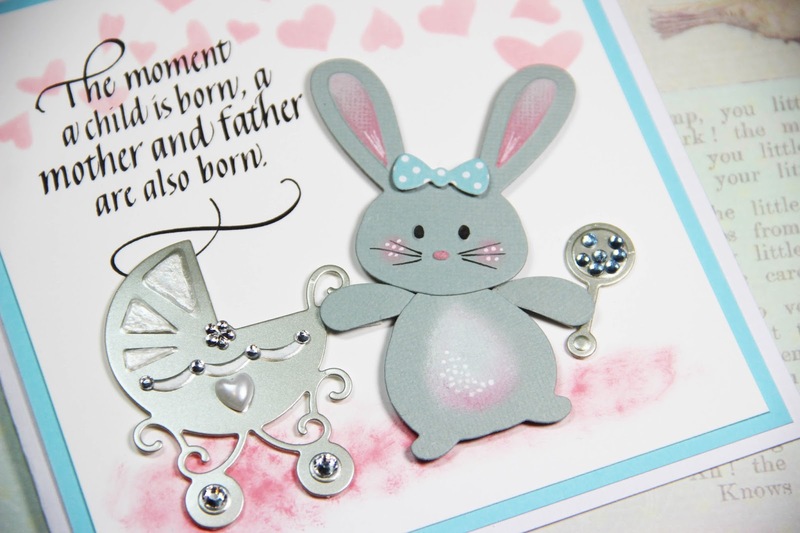 Being such a wonderful and loving Quietfire Design quote the stamp "The Moment a Child is Born"is, I could not resist making a cute baby card with it. And of course perfectly to be combined with the Quietfire Design - A Way with Stencils - Heart and Paw prints. 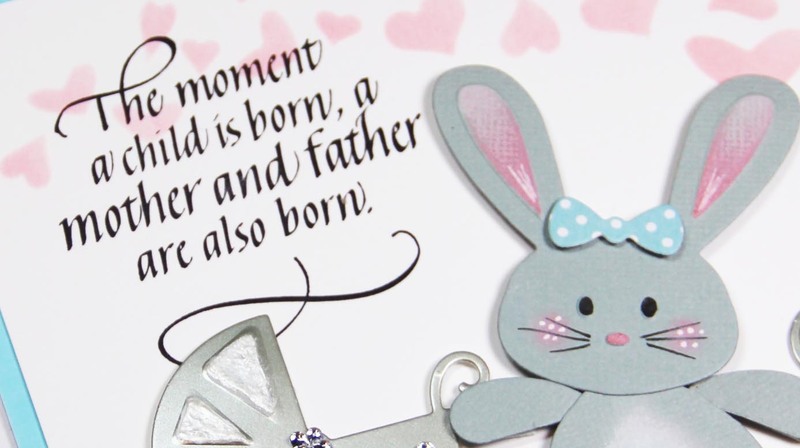 stencil the hearts onto some white cardstock using an ink blending tool and pink (chalk) ink. 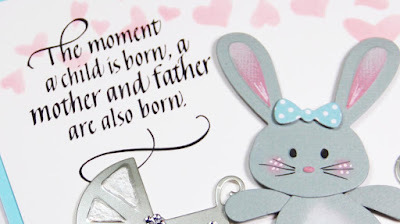 dab some pink ink onto the bottom of the card as well. Stamp the Quietfire sentiment stamp using black ink. die-cut the pram and the bunny and adhere using 3D foam squares. embellish with liquid pearls, pearls and rhinestones. Mat upon blue cardstock and then upon a white card base. "Nothing can be truer than fairy wisdom"
"...set another goal or to dream a new dream"